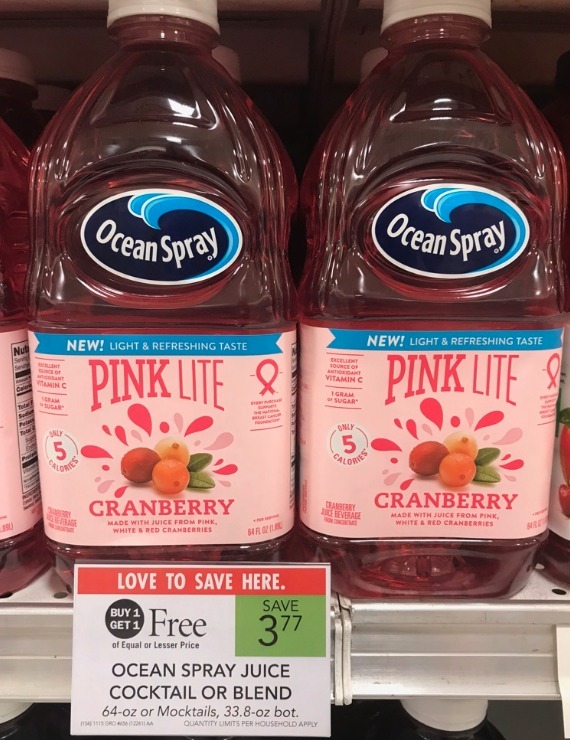 The Ocean Spray Pink Cranberry Juice coupon is back!!! This week you’ll find Ocean Spray juice on sale in almost every grocery store too. Get a bottle of juice for as low as 23¢ depending on the store you pick. No matter where you shop it’s a great deal this week!